Officials in northern Laos bar Christians from meeting in private as part of a broader crackdown on the religion. Every religion seems bound for a hard time from quarters known and out of left field at some point, and it’s no different in Laos. Authorities in the country’s north have ordered Christians to stop meeting in private, in their own homes, where they practice their beliefs. The edict followed the arrest of a pastor and several parishioners, and is being monitored by the US-based Human Rights Watch for Laos Religious Freedom (HRWLFR). 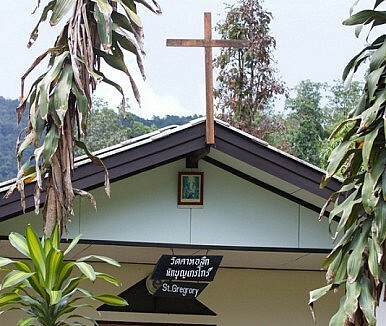 Pastor Seng Aroun of the Kon church in Luang Namtha, and three other Christians from the Sounya village church, had met at the house of a man identified as Kofa for Sunday mass. Provincial authorities arrested four and detained them in a local prison. All but Pastor Aroun were released three days later. Christianity is a minority religion in Laos, numbering about 150,000 people who are mainly Protestant and Catholics. There’s also the Lao Evangelical Church, Seventh-Day Adventist, Methodists, Church of Christ, Assemblies of God, Lutherans and Baptists. In Sounya, Christians have faced increasing opposition from the authorities since the conversion of about 400 people in 2002. Since then, police have conducted a series of arrests of church leaders. HRWLRF are also focusing on Udomsai Province, where 58-year-old Bounchan Kanthavong of Vanghai is nearing the end of a 12-year prison sentence handed down in 1999, following his conversion to Christianity and his unabashed preaching of the faith. Apparently Kanthavong told his wife, Sengkham, during a prison visit that officials said they were prepared to release him if he renounced the Christian faith and separated from her. Sengkham has emerged as a leading local figure in the Protestant church. Kanthavong also warned Sengkham prior to his arrest that officials were likely to seize him because of his Christian activities. He was then arrested and charged with treason and sedition. HRWLRF says it is urging the Lao government to reconsider Kanthavong’s conviction and release him immediately on grounds that religious freedom was guaranteed by the Lao Constitution and shouldn’t have been deemed an act of treason or sedition. A report by the US Commission on International Religious Freedom found that Protestants in the urban area of Laos had reported an increased ability to practice their faith with less restriction. However, provincial authorities had continued to violate freedom of belief and religion among ethnic minorities. Laos also maintains its spot on the commission’s watch List for 2011 due to detentions, surveillance, harassment, property confiscation, forced relocations and forced renunciation of faith among Christians.